Delta SMA series connectors are subminiature, precision, 50-ohm impedance connectors with 1/4"-36 threaded coupling. They are best suited for use with high-frequency semi-rigid cables in demanding applications up to 18 GHz, or miniature flexible cables up to 12.4 GHz. 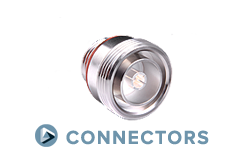 Our extensive line of SMA receptacles includes configurations for virtually any packaging requirement, and we can supply any adapter or accessory you need to complete your system design. 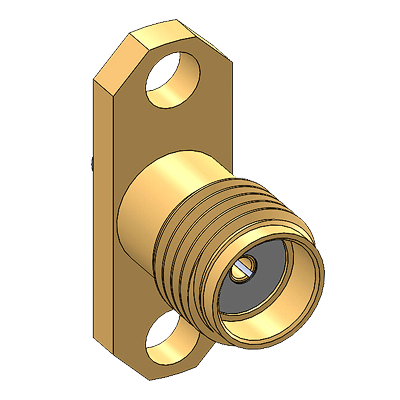 We also offer E-Line brass-body SMA connectors for commercial applications. 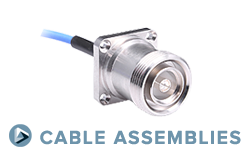 Our new extended-frequency SMA connectors are available in two grades: 26.5-GHz precision, and 27.0-GHz high performance with extended high-temperature rating. 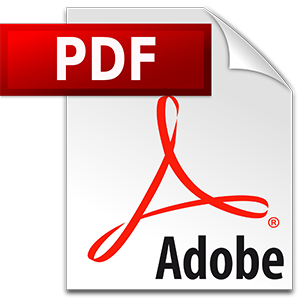 These series includes field-replaceable receptacles for use with glass seals. 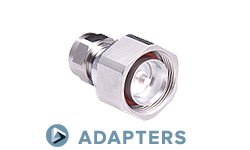 Click to read more about our 26.5 GHz and 27 GHz SMA connectors. We now have many SMA connectors qualified to MIL-PRF-39012. Click to read more about our M39012 QPL SMA connectors. One-Step cable connectors for semi-rigid cable feature captive contacts and quick, easy assembly. 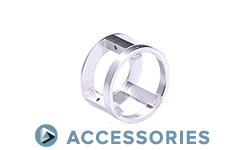 Panel receptacles are available with a large range of flange sizes, letting you drill one hole pattern in your components and mount BNC, SMA, N, or TNC connectors as needed. Edge-Mount SMA receptacles mount to board edges with no drilling, and can eliminate the perfomance loss of using right-angle PCB receptacles. Adapters between SMA and many other series are also available.